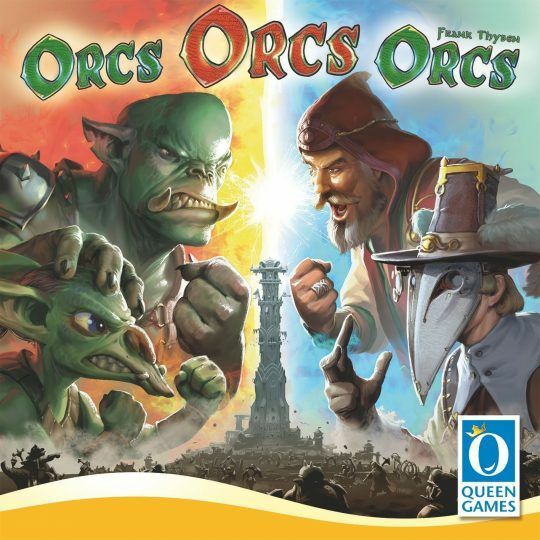 The game ends when you run out of orcs on one of the four lanes. During the final scoring, players count up their defeated orcs and multiply them by the number on the creature counter, get points for each support spell learned and subtract points for each poison card in their deck. Whoever has the most points will be declared “Master Mage”!